Lighthouse at Capo Spartivento in the southern Sardinia in soft evening light. Sardinia, an island in the Mediterranean sea is part of Italy. This photo was taken in the evening of a sunny day in April of 2005. 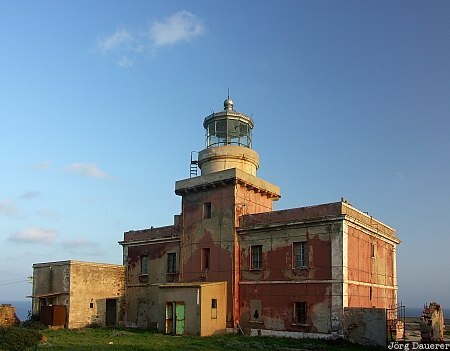 This photo is part of the exhibition Lighthouses (February 2010). This photo was taken with a digital camera.